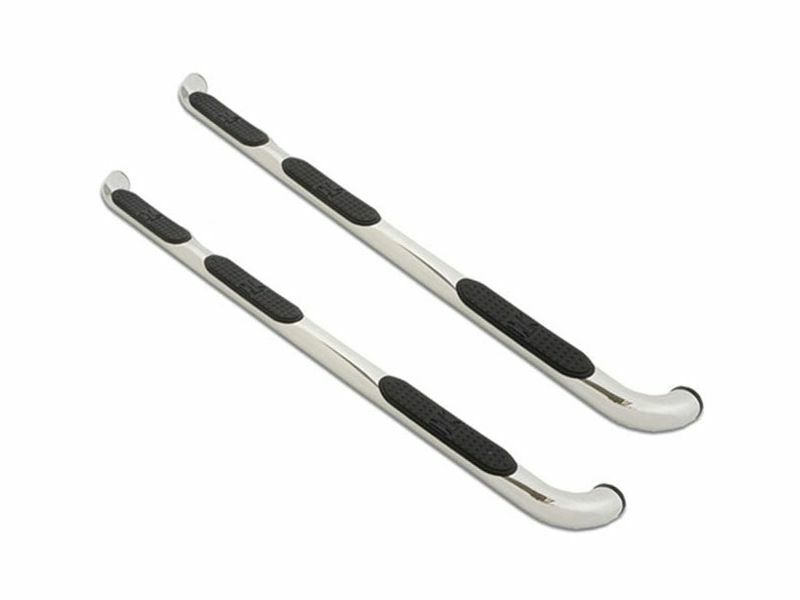 The Iron Cross 3" Stainless Steel Wheel to Wheel Tube Steps are the perfect addition to any truck that needs a great step, while maintaining its great look. These tube steps are made of American made 304 stainless steel and polished to a mirror finish. These step pads feature a textured slip resistant surface that will give you a secure footing when getting in and out of the vehicle. The step pads are also UV resistant, leaving these tube steps looking brand new!